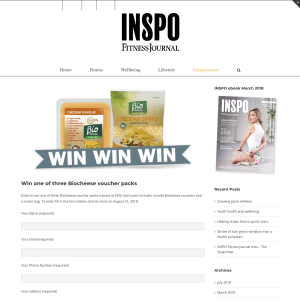 Enter to win one of three Biocheese voucher packs (valued at $50). Each pack includes include Biocheese vouchers and a cooler bag. To enter fill in the form below. Entries close on August 31, 2018.